Hey, this post is just me recommending 5 good series. 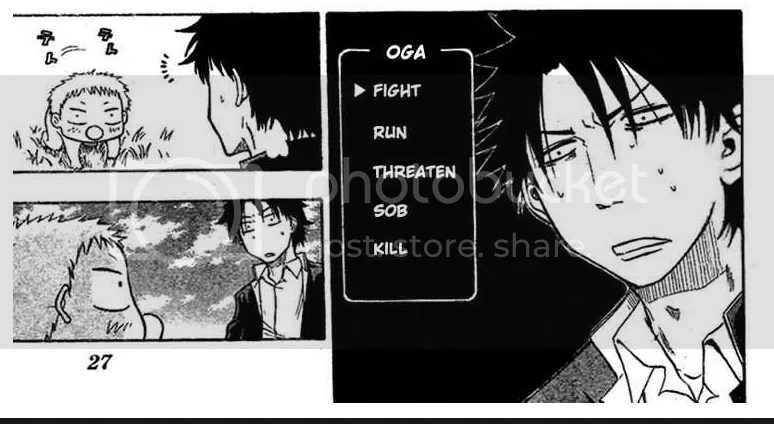 Summary: Strong delinquent Oga (nicknamed Ogre, Demon, or “it’d be alright if he’d just die” by other delinquents) picks up a baby that turns out to be the son of the Great Demon King! Chosen to raise the baby until he’s in age of destroying mankind, together with the demon maid Hilda, they’re sure to make mankind die… of laughter! Considering the manga is getting an OVA this season and an anime series in January, I thought it was a good idea to start with this series. How could I describe this Shounen manga? Really random, funny and badass. It has a good arc. 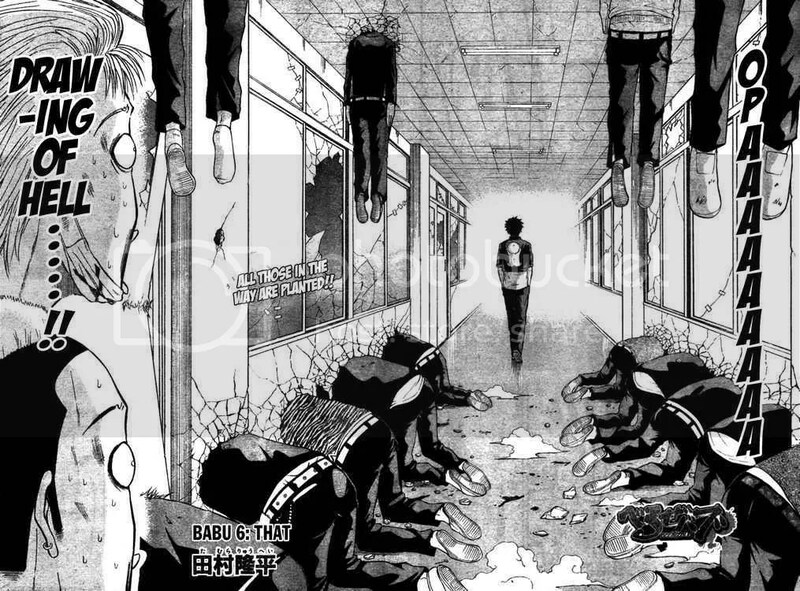 This is the kind of manga where the main character is a master of over-kill and leaves a nice pile of corpses. For someone like me who loves anime or manga with a badass main character and who hates wimpy characters like Kurosaki Ichigo or Shinji, it’s freaking awesome. Tamura Ryuhei makes this series look amazingly absurb so well that it brings out its own mark-out moments. Long Live The NWO and by that I don’t mean the New World Order. I mean the New World Oga!!!! I give this manga a strong 8/10.